The Malus Intercursus was a commercial treaty signed in April 1506 by King Henry VII of England and Duke Philip IV of Burgundy. 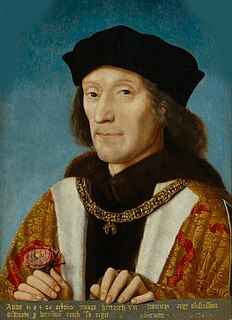 Continuing frictions with the Company of Merchant Adventurers of London, combined with Henry's desire to secure Edmund de la Pole, 3rd Duke of Suffolk, the leading Yorkist heir, sheltering in Burgundy, led Henry to attempt further negotiations, even after the ratification of the Intercursus Magnus in 1496. A shipwreck in 1506 left Philip stranded in England en route to claiming the Castilian inheritance of his wife, Joanna the Mad. This enabled Henry to negotiate the Intercursus Malus ("evil treaty", so named from the Dutch perspective for being far too favorable to English interests), intended to replace the Intercursus Magnus. This replacement removed all duties from English textile exports without reciprocity and with little compensation for the Burgundians. 49-year-old Henry, widowed three years previously, also arranged to be married to Philip's sister, the twice-widowed 26-year-old Margaret. 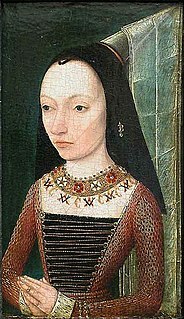 Margaret's objection—both to the marriage and the treaty more generally—meant that, on Philip's death that September and Margaret's appointment as Governor of the Habsburg Netherlands (and de facto ruler), the treaty was not ratified being replaced instead by a third treaty in 1507, repeating the terms of the first. ^ a b c George Edmundson (1922). "II: Habsburg Rule in the Netherlands". History of Holland. The University press. pp. 16–17. ASIN B00085XL4Y. Retrieved 3 July 2012. ^ "Treaty 'Malus intercursus' between England and the Netherlands". The Literary Encyclopedia. 1 November 2010. ISSN 1747-678X. Retrieved 3 July 2012. ^ John Guy (1988). Tudor England. Oxford Publishing Press. ISBN 0-1928-5213-2. ^ "Intercursus Malus (Spain 1506)". Encyclopædia Britannica. ^ "Magnus Intercursus". Everything2. 1 May 2002. Retrieved 3 July 2012. ^ a b "Intercursus magnus and intercursus malus". Oxford Dictionary of British History. Retrieved 3 July 2012. ^ J.P. Sommerville (1 September 2012). "Domestic and Foreign Policy of Henry VII". Course 123: English history to 1688. University of Wisconsin–Madison Department of History. Archived from the original on 27 September 2011. Retrieved 24 June 2012. Albert VII was the ruling Archduke of Austria for a few months in 1619 and, jointly with his wife, Isabella Clara Eugenia, sovereign of the Habsburg Netherlands between 1598 and 1621. Prior to this, he had been a cardinal, archbishop of Toledo, viceroy of Portugal and Governor General of the Habsburg Netherlands. He succeeded his brother Matthias as reigning archduke of Lower and Upper Austria, but abdicated in favor of Ferdinand II the same year, making it the shortest reign in Austrian history. Philip the Good was Duke of Burgundy as Philip III from 1419 until his death. He was a member of a cadet line of the Valois dynasty, to which all the 15th-century kings of France belonged. During his reign, Burgundy reached the apex of its prosperity and prestige and became a leading center of the arts. 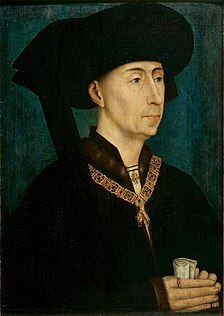 Philip is known in history for his administrative reforms, his patronage of Flemish artists such as Jan van Eyck and Franco-Flemish composers such as Gilles Binchois, and the capture of Joan of Arc. In political affairs, he alternated between alliances with the English and the French in an attempt to improve his dynasty's position. As ruler of Flanders, Brabant, Limburg, Artois, Hainaut, Holland, Zeeland, Friesland and Namur, he played an important role in the history of the Low Countries. Spanish Netherlands was the collective name of States of the Holy Roman Empire in the Low Countries, held in personal union by the Spanish Crown from 1556 to 1714. This region comprised most of the modern states of Belgium and Luxembourg, as well as parts of northern France, southern Netherlands, and western Germany with the capital being Brussels. Around the 13th and early 14th century, various Dutch cities became so important that they started playing a major role in the political and economical affairs of their respective fiefs. At the same time, the political system of relatively petty lords was ending, and stronger rulers started to emerge.